I love online shopping, specifically, I love Amazon. When I need something at a good price, it will most likely be on Amazon. If you’re frugal like us and like the convenience, it’s a godsend. So I’m stoked every time I hear about new ways to save on Amazon. It’s something everyone should take advantage of. Here are some amazing hacks we’ve found from all over the blogosphere to blow up your mind. 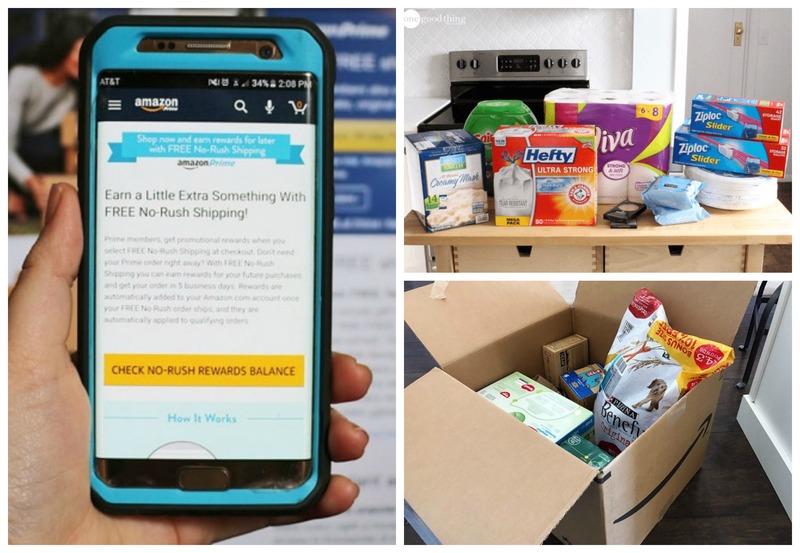 Order regular-sized products from Prime Pantry and pay a flat rate of $5.99 for shipping and you can fill up a box with as many items as possible. Don’t worry Amazon tells you the percentage of space your item would take up in that flat-rate box. Or, you can select 5 qualifying Pantry items and get free shipping. Earn a 2% reward whenever you reload your gift card. Keep reloading the same gift card, and use it for a continuous discount. If you love taking pictures, I’m sure you’ll really love this. Download Amazon Cloud and you’ll get 5GB of cloud space for your photos, videos, music, and other files using Amazon Drive. Such a great deal. Everyone loves getting free samples in the mail. These boxes are filled to the brim with free samples, coupons, and even sometimes full-sized products. Having this on the way makes checking your mailbox way more fun! No time to go to the grocery store? Then consider taking this service. It’s an easy way to save on your grocery budget and it will also save you time. This is really perfect for the busy people who’d prefer groceries to automatically appear at their door. If you already have a Prime account, just choose FREE No-Rush shipping when checking out and automatically receive promotional credit after. If you’re not sure about creating a membership with Prime, then just try it out for a month! See how you feel about it and then you can make the decision to end it or not. You can try a 30-day free trial for Prime here! Music lovers rejoice! You can now enjoy unlimited, ad-free access to over a million songs, using Prime Music for FREE. You can also skip as many songs as you’d like, play music offline, and create your own playlists. You can also take advantage of using discount coupons to save more money. It’s simple and easy and can get you up to 70% off! Awesome! Who doesn’t love to get free Amazon gift cards? And the good thing is that there are a lot of ways to score a gift card, sign up for Amazon’s Mechanical Turk is one of the easiest ways. Shopping Amazon while saving big can be fun! Luckily, there are hacks to help you get even better bargains while you’re getting the things you need. So for your next Amazon buy, consider these tips and save more. Let me know what you think in the comments and be sure to share your favorite Amazon hack! Amazon free Pay balance and gift card is also great tool in that list .I woluld like to see more in this list and i hope we will see in future too thanks. Can I still get a Free Month of Prime?